Immerse yourself in Bulgarian history and culture during this 4-hour small group walking and wine tasting tour of Varna. 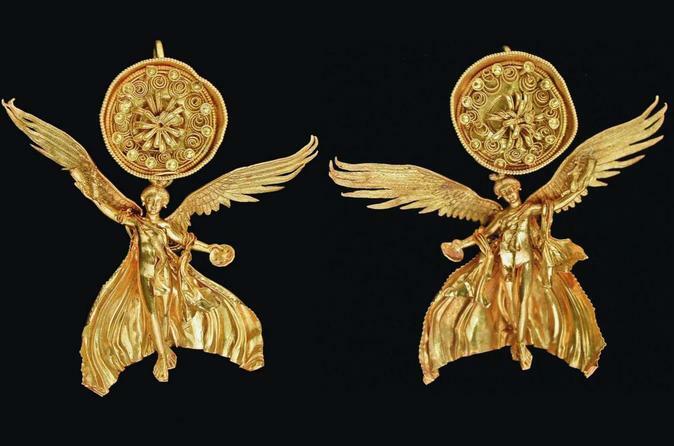 Wander through the archaeological museum and marvel at its vast collection of gold necklaces, bracelets and other jewelry. Learn how local discoveries changed historians’ perception of the development of civilization. Take a guided tour of the Roman Baths and visit the Dormition of the Mother of God Cathedral, all with a friendly, knowledgable guide. Your half-day Varna walking and wine tasting tour and adventure starts after meeting up with a friendly, professional guide and starting off for the archaeological museum in Varna. More than 4,000 years old, this museum changed historians’ idea of how civilization developed. It is one of the oldest collections of gold objects in the world and houses thousands of necklaces, bracelets and other ornaments. Take time to explore the collection and marvel at the ornate pieces on display. After the museum, continue on to the famous cathedral of the Assumption, one of the most iconic buildings in the city of Varna. Then enjoy a guided tour of the Roman Baths, which are the largest in the Balkans and great for exploring. End the tour learning more from your friendly guide about the important history and culture of this area.